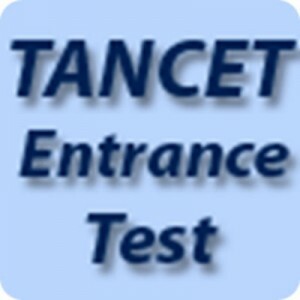 Tamil Nadu Common Entrance Test (TANCET). The TANCET is conducted by the Anna University, Chennai on behalf of the Government of Tamil Nadu for candidates seeking admission into M.B.A., M.C.A. , M.E. / M.Tech. / M.Arch. 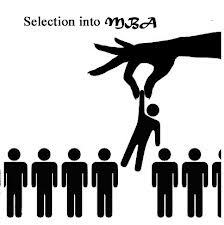 / M.Plan degree programs offered. This kind of comprehensive test assists the concerned college authorities to evaluate a candidate’s business aptitude and other life skills which are necessary for manager and business executives. The TANCET consists of 100 objective type questions which assess applicants on 5 broad areas namely Analysis of Business Situations, Reading and Comprehension, Quantitative Ability, Data Sufficiency and English Usage. To crack the TANCET isn’t easy with it’s yearly surprises and is easier said than done! Hence,students to look for tips to help them clear the exam, in view of this there are a few tips and tricks that students can avail of to crack the TANCET Exam. Given the areas of assessment it is only fair that the tips and tricks to crack the TANCET should be based on these areas. This sections assess the applicant’s command over the English Language. Since this is a language, by default grammar is tested. The Verbal Ability section comprises of questions on analogies, synonyms and antonyms, match the list, idioms, one word for many, fill in the blanks and identifying the various Figures of Speech which is a task for applicants. A useful tool to improve your language skills is by referring to the Wren & Martin. This book is a perfect guide for improving your grammar, essay writing skills as well as your comprehension skills because it has exercises and examples for each topic. It also comes with a key that you can use to verify if your answers are correct. Refer to a copy of the Wren & Martin in any form either in print, in a pdf or e-book form as it has very good examples for improving your comprehension skills. It has sample passages that contain questions on most of the aspects covered in the English section. When a problem is given don’t just solve it try to analyze it for 20 to 30 minutes by asking your W/H questions such as Why, What, When Where and How. The reasoning section consists of questions based on logical, analytical and critical reasoning therefore they are framed accordingly. Whenever you read a passage don’t forget to put on your thinking cap and ask your W/ H questions as often as possible. Students need to practice difficult reasoning puzzles from mock papers and books on reasoning. Solving puzzles from popular puzzle books available in bookstores will also help. Focus on lengthy puzzles on distribution involving lots of variables. The section on Decision Making can be best practiced by going through the mock TANCET papers. Unlike most management entrances the TANCET has a section on Analysis of Business Situations wherein students are given to case studies based on typical business situations. The section evaluates the candidate’s ability to identify critically the data and apply the data to business decisions from given typical business situations. This section mainly consists of questions that use bar graphs, line graphs, case lets (data given in the form of paragraphs and requires applicants to extract the information provided to establish a relationship between the data given), tables, pie charts or circle graphs etc. to interpret data. Similarly the questions are based on the data that is interpreted, so break up the question and note down the information that is given to you. Try to be loud and aggressive in an appropriate manner, if you need to get your point across. If unclear about the topic wait for someone else to begin. Try and summarize the points that have been discussed at regular intervals. It is essential that students refer to previous years question papers and rely on mock tests, as this will make them familiar with the paper pattern and will give them an idea about the type of questions asked. Thus, students are better prepared for the examination. This will ensure that students practice regularly and are better prepared because they can resolve the queries that they might have about a particular topic. It is important to ensure that you get enough rest, eat a balanced diet and most importantly exercise. It is important that you sleep in time, eat properly and exercise, if you wish to perform well in the examinations because both the body and the mind need to rest to function to its maximum potential. By following these simple tips cracking the TANCET will be easier to clear. To Quote Jaspher Kantuna , “Practice as if you are the worst; perform as if you are the best.” – . If you are looking for more details about the TANCETExamination you can visit or sister website www.way2k.com.